The Cabinet Committee on Economic Affairs, chaired by the Prime Minister Shri Narendra Modi, has given its approval to issue fresh equity shares of Indian Renewable Energy Development Agency (IREDA). For those who do not know, IREDA is a Public Financial Institution. Since its inception, IREDA has played a pioneering role in supporting and facilitating the policies and program of the Ministry of New & Renewable Energy (MNRE) that has nurtured the renewable energy industry in the country. 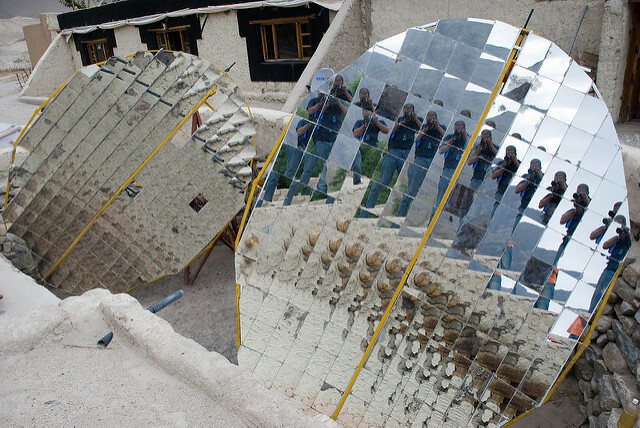 Government of India has scaled-up the renewable energy (RE) targets to 175 GW by the year 2022. To achieve this ambitious target, substantial investments in RE sector will be required. IREDA, being the premier institution for RE Sector, has to cater to the increasing needs of the sector. What is the Benefit of this Approval? In the last three decades IREDA has been supporting establishment of renewable energy projects and has greatly succeeded in commercialization of sustainable energy technologies in the country. Renewable energy is known to be a more efficient and cheaper source of energy. To increase the capacity of renewable energy, IREDA needs loan financing. By raising equity funds, it will be able to leverage loan financing for the RE sector. The public issue will make it possible for the Non-Banking Financial Company to increase its visibility in domestic and international financial markets. It will enable IREDA to unlock its true value and provide the country with greater benefits of renewable energy. It has been approved that the Initial Public Offer by IREDA will be conducted through book building process through Book Running Lead Manager (BRLM). It will be done as per the guidelines of Department of Investment and Public Asset Management (DIPAM) and as per guidance of the Inter-Ministerial Group. Mallika Kumar is pursuing her undergraduate degree in Media Studies from the University of Delhi. She is interning with Delhi Greens during the Summer of 2017.